When Allison, my best friend since kindergarten, told me that she was expecting her first baby with her husband Bobby, I literally squealed with delight and I couldn't wait to be Aunt Candy to our little bundle of joy and spoil him rotten. Our sweet baby boy Toms is still cooking in his mommy's tummy, so it will be a few more months until I can spoil him, but that doesn't mean I can't spoil his mom in the meantime. Since I'm a fashion and lifestyle blogger, I thought I would put together a style guide for moms-to-be so they can look and feel their best pre and post baby. Check out below for my fashion blogger guide to maternity style! The pieces are perfect for giving and receiving! Who says registries are just for weddings? When you or your loved one is expecting a new bundle joy, then definitely register at Gugu Guru. It's your one stop for all things baby and maternity style. You can create and share a registry for everything on your maternity must-have wishlist. What I love most about Gugu Guru is that it allows you curate a baby registry based on the mom-to-be's personal style and unique lifestyle. She can take a super fun Style Quiz and then add any and all maternity clothing and baby needs, from any shop or brand, directly to her registry. Style Tip: The awesome fashion pieces on Gugu Guru can be worn during and after you welcome your new little one! That way you can make your maternity style last longer than just nine months. We all know that true beauty starts from the inside out. The same goes for feeling comfortable and confident in your own skin, regardless of what your outfit may or may not look like. As strong, intelligent, and fierce women, we know that what lies underneath needs to be cool, calm, and collected, in order to take on whatever life may throw at us, especially motherhood! The same holds true for your fashion choices, what's underneath your outfit is just as important, if not more, than what's on top. That's why I'm obsessed with Bravado Designs Body Silk Seamless Nursing Camis for my friend Allison. It helps expectant moms seamlessly embrace their personal style. Bravado Designs also provides stylish and silk seamless nursing bras, sport bras for yoga, and nursing tanks. You can shop their full collection here. Just because your baby needs something soothing to teeth on while their pearly whites grow in, that doesn't mean that means you have to slack on style. Chewbeads offers stylish teething beads for your baby. What I love most about Chewbeads is that they are super soft and non-toxic. Stylish and chic for mommy while being safe and chewy for baby. For the super stylish yet uber practical mom, check out Brooklyn Bandanas. Inspired by the coolest borough, the fashion line features an array of bandanas designed with the iconic fixtures of Brooklyn from the Coney Island Charmer, Ode to Roebling, to Prospect Park Patterns, the eclectic line has something for everyone, whether you're a Brooklynite or not. Style Tip: You can customize the trim color on your Brooklyn Bandana for a chic and unique look. It's 2016, no woman needs to be barefoot and pregnant when she has the super comfy Bzees Shoes as a stylish footwear option. Some of our fall favorites include the Balance Slip On, the Nurture and the Nova. What makes Bzees so great for expecting moms is that they are easy-to-wear shoes that provides amazing support while on-the-go and on-your-feet. "Bzees is a brand of women’s sporty footwear designed to rejuvenate the mind and body from the feet up. All styles are designed with cloud technology including free-foam footbeds, dynamic stretch uppers, air-infused outsoles and are machine washable to provide a “light feels right” footwear option for women. 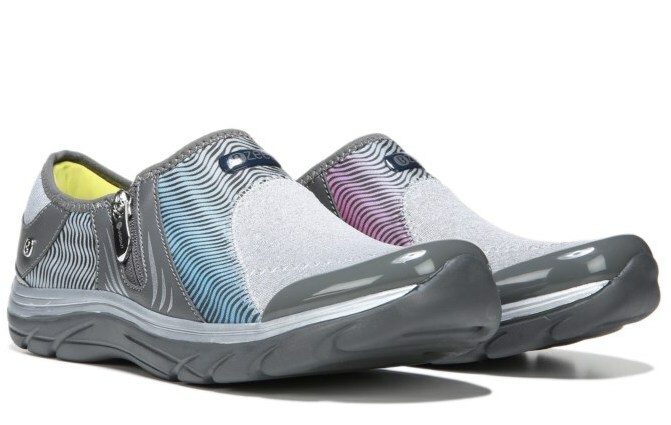 Meaning: its slip-on styles will stretch and move with you to be a non-restrictive solution to keep you light on your feet even on the toughest days of pregnancy." Mess Queen: Feel like the QUEEN that you are! Even though I'm personally not expecting, I love the freedom, comfort, and stretchability of a good pair of leggings. And just because I love fashion, that doesn't mean that I also don't love comfort - I practically live in black leggings all year round. But this time I wanted to spice up my friend's maternity style to go beyond basic black. So if you're like my bestie Allison, and want to add some style to your leggings while adding comfort and stretch to your leggings to accommodate your growing belly, then opt for Mess Queen Leggings. My favorite pair if the Lightning Bolt Maternity Leggings, but the entire collection comes in super fun and funky colors, prints, and patterns. You can check out there full line of stylish and fierce leggings here. Nothing adds a bit of sophistication, style, and class to any outfit like a scarf. Just because your pregnant that doesn't mean that your maternity style can't be just as glamorous. 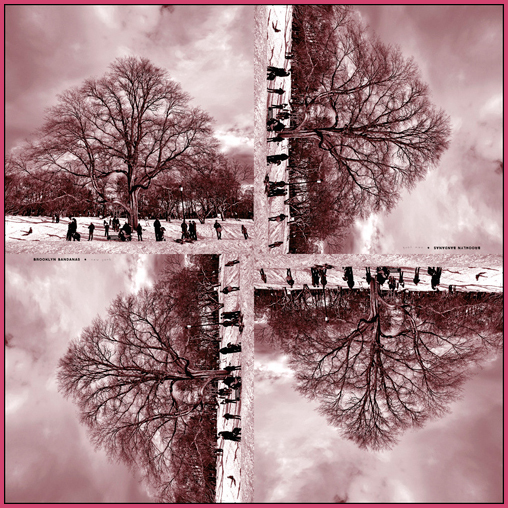 My go-to accessory to add a bit of flair to your look is the Hold Me Close Nursing Scarves. 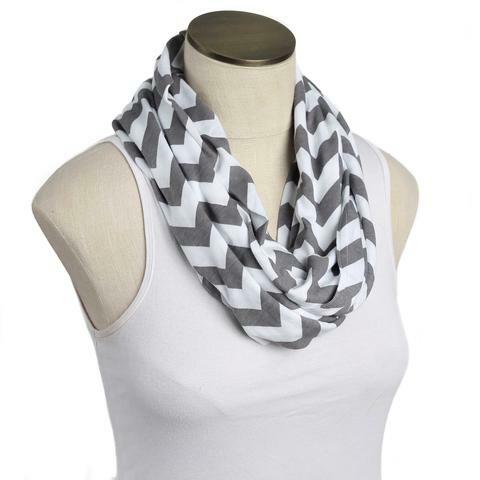 My favorite color and style is the Gray Chevron, but you can check out the full collection here. If there's one thing every fashionista needs in her wardrobe, it's fashion pieces that are versatile and stylish at the same time. That's where goodbody goodmommy comes in with their multitasking nursing cardigan. It doubles as a fashion statement along with a nursing cover that you can have with you at all times without looking bulky or calling attention to having to feed your new little one. I love that the cardigan comes in classic black because it's a slimming color that goes with everything. You'll never have to worry if your nursing cardigan matches your outfit so you can wear it anytime, even on-the-go. "Simply find the loop under the shoulder and fasten it to the button on the opposite side to create a discrete and comfortable cover. The cardigan has an open, full design and is made from ultra-soft modal jersey. The arms are fitted and long, to contribute to a sleek silhouette. Hidden on-seam pockets are the perfect place to stash nursing pads, pacifiers, or your favorite lipgloss. The cardigan is designed to be paired with everything from workout clothes to jeans or even a dress. We understand that clothing made from quality fabrics are an investment, which is why we designed our cardigan to transition for postpartum wear." I would seriously rock these teething necklaces by TeethingTreat as part of my look! My favorite piece by them is the Joy Diamonds Teething Nursing Necklace. It has a sleek design made especially for moms so that they can look stylish while soothing their babies. My favorite color for the unique necklace is the grey and blue option. TeethingTreat also offers really awesome baby apparel, with the Be a Unicorn top being my favorite.